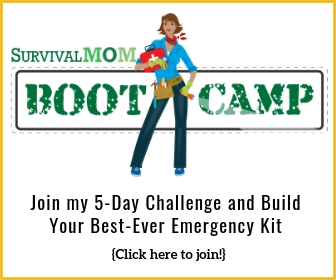 A group of fellow bloggers and I have come together to offer a fun and easy contest that will help anyone be better prepared for emergencies, a survival bucket giveaway! You definitely won’t starve in a short-term emergency with foods like Artisan Oatmeal, Texas Sunrise Skillet, and Rotini a la Marinara. These just-add-water meals will be easy to prepare with the InstaFire paper pouches, folding BBQ grill, and the cooking pot. This kit would be ideal to keep at the office, in the trunk of your car, or to give to a college kid. 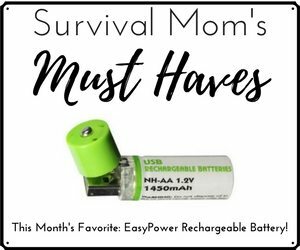 Add a few more necessities, such as a flashlight, duct tape, paracord, toilet paper, and a good knife, and the kit will be even better equipped. 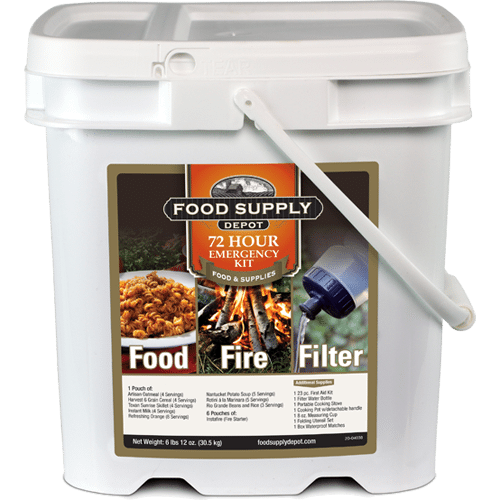 Enter the survival bucket giveaway! This contest is very easy to enter. There are opportunities to visit the sponsor’s website and sign up for their newsletter and connecting with some pretty impressive bloggers via social media. You can enter once or as many times as you like, adding up entry points as you go! The giveaway ends at midnight on August 3, and the winner will be selected at random and notified by email. This particular prize can only be shipped within the contiguous 48 states. Best prize ever!! been wanting one of these just not in the budget yet!! These are always great to have around. 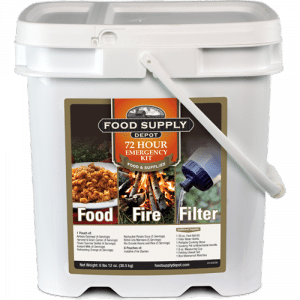 Have wanted one of these survival buckets for some time now. Would be great to win one! I think this is a great idea. I like the content of the bucket and it would be a great help for me. Great thing to start prepping with! Thank You for all your contributions. I love learning this stuff. What a great way to get started! Great start! Thanks for the chance! We have really been trying to build up our storage. Thanks so much for this chance to win such a great gift. We are working steadily on getting ready for any emergency that could arise, with your help and others. love your giveaways for they are always so practical. And it comes with a FREE SEAT! The bucket itself! Preparing for whatever comes. EQ’s, storms, power outages, whatever. Trying to be ready. I’m doing pretty well on the prepardness things but I really need to help my niece get started on something and your bucket would be perfect! This is a neat giveaway. It would be great to have for some of those summer storms that knock us off the grid in our rural setting! Job loss, hurricanes , floods, storms , and the occasional tornado. Awesome giveaway! 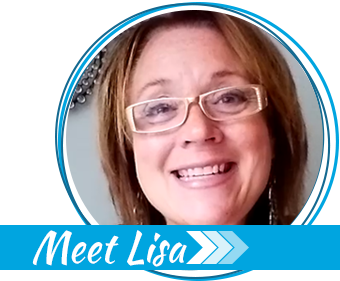 Love your blog and Facebook page! Any emergency event. I like to be prepared to take care of my own and not rely on anyone else. What I wonderful giveaway. This would really help with my storm package. I would love to win this as we are low on funds but, I really want to prepare in case of power outages, and tornados, flooding where we live. Thank you! Great Prize! You have the best giveaways! Such a great prize that anybody would be glad to win! Making sure my family is prepared in a crisis, this is a great start! Great Prize! I’m not preparing for anything specific even though I think an economic collapse is extremely possible, as well as an man-made EMP. I’m preparing because it is the smart thing to do. Prepping for the general unforeseen circumstances. This would be great–all in one place! I am prepping for being snowed in next winter. There is also a nuclear power plant about 5 miles away. My son works there so I am fairly comfortable with it. It would be such a blessing to win this! I’m prepping for those just in case days. The unexpected times that we have to plan for. It’s great that it’s all in one place, thanks. Thanks for the chance to win. I am preparing for a financial breakdown. I really need this to help round out some short term preps. I live in a remote community and it is difficult to find access to cost effective “easy” supplies that don’t cost a gazillion dollars to ship. Thanks for the chance. I need this to start my prepping. I have started to prep with food and canning. I could really use this. What a great idea to use this container. Weather conditions. We had a storm 2 yrs. ago that left us without power for a week, over 100 degree temperatures, no ice or food or gas available for sale because the few places that had generators to open for business were wiped out in hours even though there was no access to using credit or debit cards. It was a miserable experience even though we were prepared so we will continue to prepare because you just don’t know. I am preparing for financial and weather related reasons. GREAT IDEA THAT ANYONE COULD USE!!!! You can.never be too prepared. As for your question, “What are you preparing for”, there are several different scenarios that I strongly think may very well happen but I definitely am preparing for anarchy due to a complete financial collapse. I wish it weren’t so but Reeeeeally,,, how long can we sustain our government with the insurmountable debt we have incurred. Such a horrible and needless situation for the Greatest country on the planet to have found itself in.. I am prepping for hurricane season. It’s always best to be ready. And hope it doesn’t come. Can never have enough food stored. Preparing for anything that may happen!! I am preparing for hurricanes and also a government collapse. 🙁 Two of which I do not want to see, but….. I am preparing for the inevitable California wildfires and earthquakes. what are we preparing for? .. we’re preparing to keep our children & family members as safe as we can regardless the danger. you can’t be 100% prepped for everything that could happen .. but a bit of this and that put up daily/weekly/monthly goes a long way to keeping us all together dry, warm and fed … that includes good information .. so thank you. 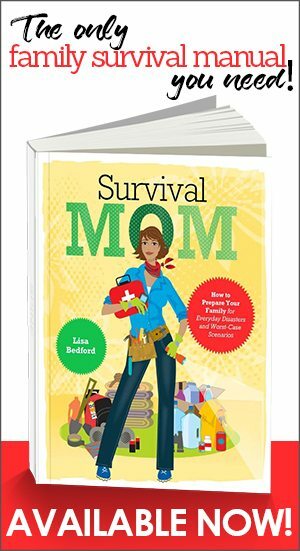 I am preparing for financial surprises and smaller natural disasters at the moment. Once I feel I’ve got that covered, I plan to prepare for longer emergency situations. You never know when you’ll need………..
Im preping for social break down. I am prepping for tornado and earthquake disasters. I live in OK so I am at higher risk for both. I would love to win this. We would love to try these!! Preparing for any emergency that might arise! Better to be prepared, then caught off guard.